Colour: Lt Topaz. Quantity: 100 beads. Hole: 1.0mm. 50 6mm topaz / green offset hole Czech glass lentil beads. A beautiful glass bead from the Czech Republic in a mix of transparent topaz and opaque green glass. Available in a range of colours. 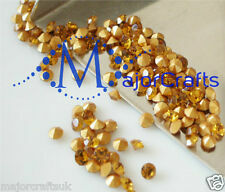 Round beads Bohemian crystal facets. Each bead contains 32 facets hexagon-shaped with sharp edges on each side for a reflection and optimum brilliance ! Material : CRYSTAL. 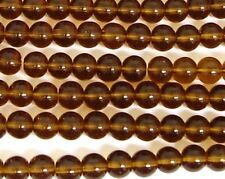 Lot of 30 beads. Lots 10 à 50. Size : 6mm. Colors may appear different on each computer monitor. Most issues can be resolved with simple communication. length: 15". Condition: New. Length: 15". We will respond within 24-48 hours, in most cases sooner. 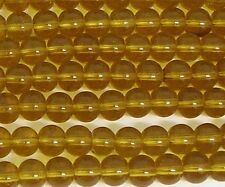 6mm Faceted South American Yellow Topaz Round Beads 15"
Material: Topaz. Style: Loose Beads. Quality:High quality. Material: Topaz. Style: Loose Beads.